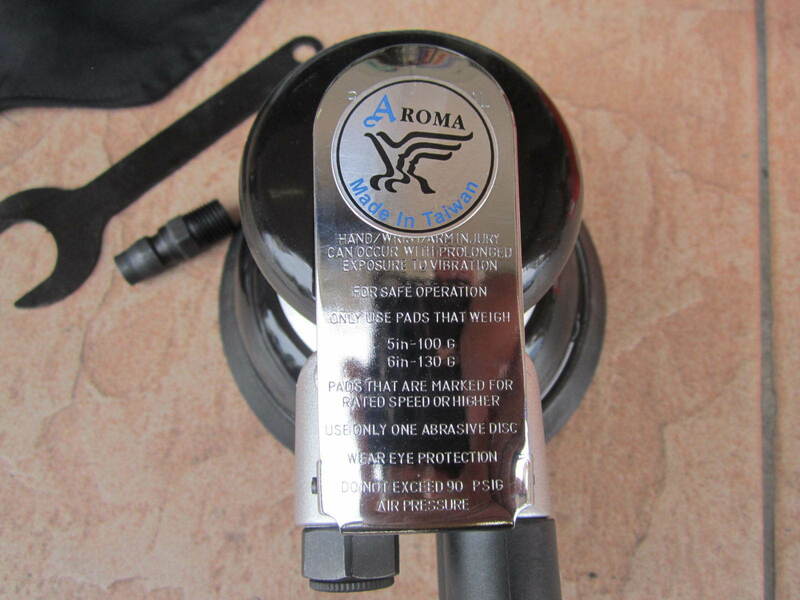 Aroma 5" (125mm) Dual Action Air Sander with Vacuum.. 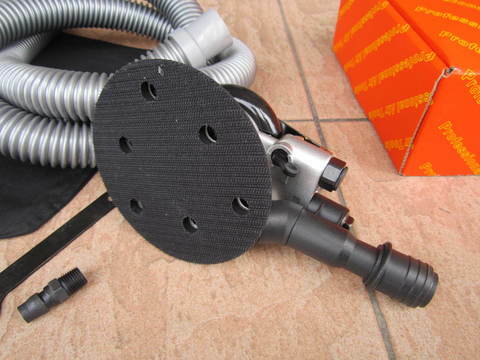 The Aroma pneumatic sander polisher requires a pad size of 5 inches (125mm). Air inlet size is 1/4" inches. Air consumption 15CFM. In addition, the product can also vacuum. 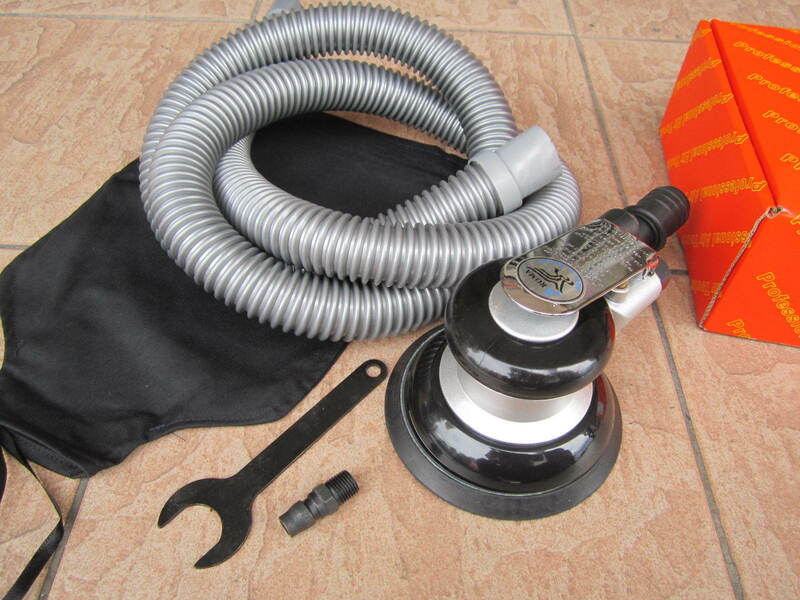 The product is under a dust bag and a vacuum hose.The pneumatic polisher is suitable for car polisher, furniture polishes, metal polisher and so on. 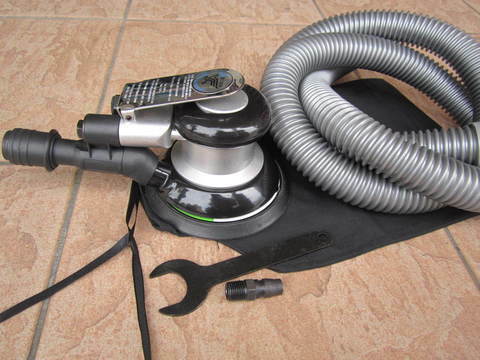 The vacuuming function of this product is used to make the construction environment more hygienic. 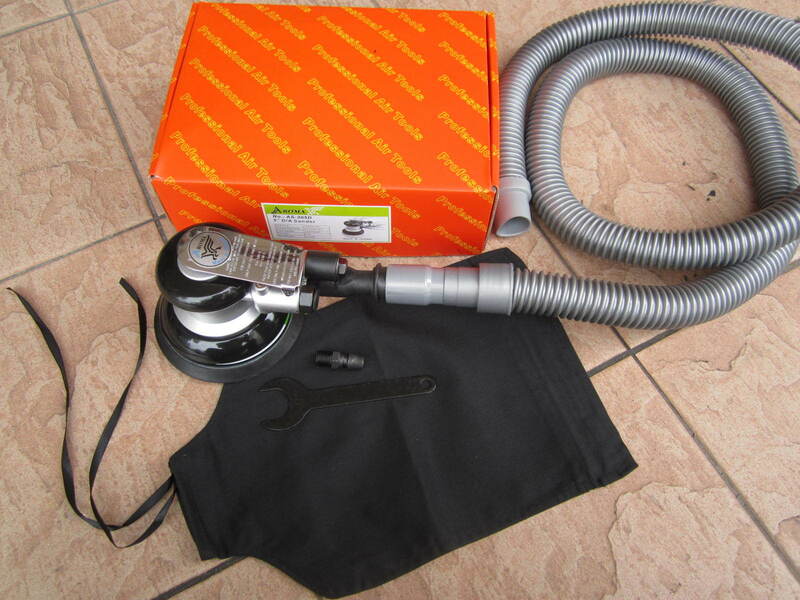 The polishing machine can be operated with one hand, light weight, low vibration, easy to use and convenient. 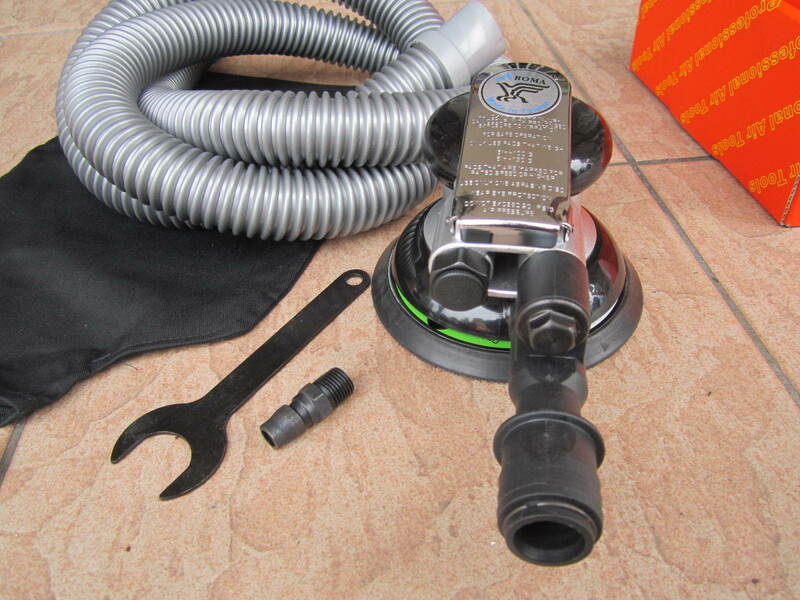 The vacuum tube interface is designed to make the working environment cleaner. Self-adhesive discs make it easier to change sandpaper and sponge. The installation of the pipe is very simple and convenient. The polishing machine uses all-steel air motor, and Japan NSK bearing, the quality is stable and reliable. The speed control switch allows easy adjustment of speed and longer service life. 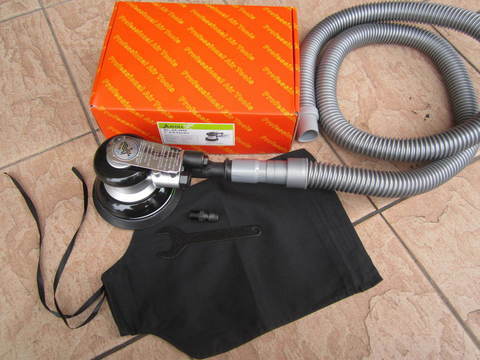 PRICE RM530.00..(Aroma professional air tools)..